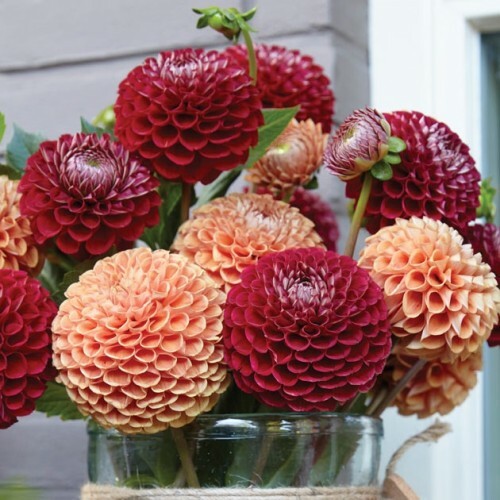 These copper-coloured ball dahlias are perfectly matched to create a gorgeous display…they are like pennies from heaven! Resembling those knitted balls on Grandma’s slippers, Ball & Pompon Dahlias are fully double flowers that are perfectly globe shaped. Expect an abundance of blooms approximately 6” – 14 cm in size. Originating from Mexico and Guatemala, these were the flowers of Inca kings and despite their royal origins Dahlias are amongst the easiest plants to grow in the garden.